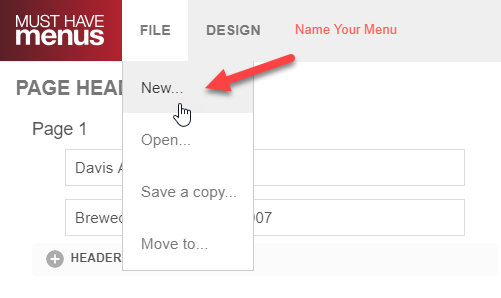 Create a new menu in the same template as your current menu directly from the Menu Maker. Click the File tab in the upper left corner then New. Your current menu will be saved and stored in My Menus. The page will refresh and you will immediately begin work in a fresh menu.